The use of The May Fair Hotel is spot-on. It isn’t so much that it is a luxury hotel, but it is that type of global, anonymous luxury that means absolutely nothing. The Savoy, the Ritz or the Carlton; they may be pricy but there is a distinct personality to them. From the lobby, through the corridors and into the exclusive high-end suite where Wallace Shawn’s incisively powerful monologue has been set, the most striking feature is the sheer facelessness of this wealth. Generic abstract ‘world’ art hangs on the wall, the corridors have a plush carpet but are really not so different to those found in any Travel Lodge and there is absolutely no personality to the room. Containing huge flat screen TVs, top-end speakers and a bathroom as big as a London studio flat, it doesn’t thrill but importantly it doesn’t offend. Perfect for the wealthy Russian and assorted euro trash clientele that swarm around Mayfair, keeping London’s economy buoyant in the face of the latest dismal news emanating from the eurozone. It is perfectly chosen for a monologue that captures the global dynamic of modern wealth, the faceless hotel room culture of the high-flying worker from the developed world. Take a photo of it and you could never hope to guess what city it is located in. London to Mumbai, New York to Lagos, we have joined the hermetically sealed world of the international class. Wallace Shawn wrote this tremendous piece back in the 1990’s. Even if some of the terms have dated – there is an almost charmingly old-fashioned bit on Das Capital and, of course, there is no mention of the threat posed from a resurgent Islam – it is sadly even more relevant than when it was written. Day after day we hear how yet more of the world’s global wealth has fallen under the control of the richest. In 15 years we haven’t turned this tanker around, and the terrifying aspect of Shawn’s play is the chilling realism of it not trying to suggest we will do so in the future. Shawn wrote words that he felt needed to be said. Well, this production demonstrates we need to keep saying them. He brilliantly frames issues in a way that have an immediate resonance. His section on the fanaticism of the metropolitan class – how their brains refuse to even allow themselves to consider the inherent unfairness of the global capitalist set-up because if they did then they couldn’t function – is one of the most singularly incisive critiques I have heard on the issue. He captures perfectly how a person’s mind can be affected by a powerful argument before something inside snapping them back to normality in a way that articulates modern culture’s slactivist tendencies more than a decade before the term was coined. He pithily summarises how we experience two weeks of outrage before reverting to type and not thinking about the issue again because it exists outside of accepted norms. The most terrifying aspect is that Shawn’s character only talks; he doesn’t judge, he doesn’t critique, he isn’t a straw man. He is normality personified. He could be an everyman for the wealthy west. 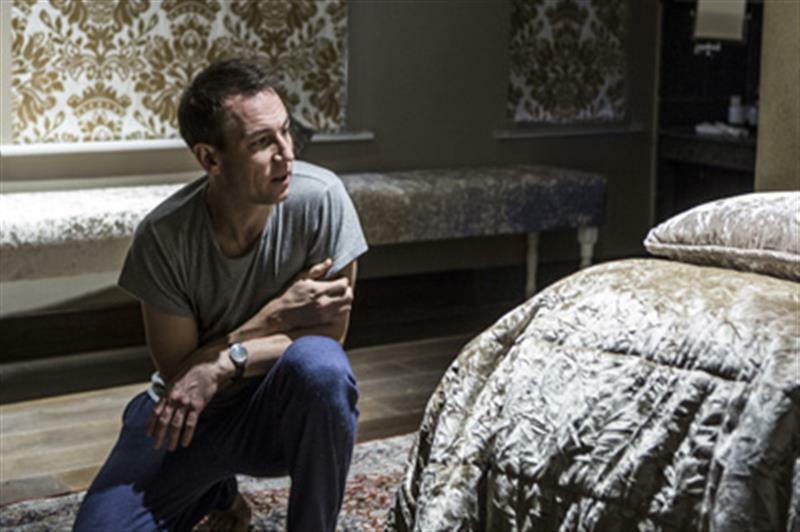 Tobias Menzies is an excellent choice for the role. This is not a monologue where the personality of the performance should affect your judgement of the text. Menzies brings a superb understatement that has been evident in many of his previous roles but here is given centre stage. This minimisation has always been his great strength; playing Brutus in Rome, he gave the role a balance that meant it wasn’t just the noble martyr but a man who unwillingly had greatness thrust on him by others. In The Honourable Woman he provided a stillness that counterpointed the nuances that Maggie Gyllenhaal brought to Nessa Stein’s emotional turmoil. By playing The Fever so stripped back, we are drawn into him and the monologue’s language. The space is so small that the piece becomes a conversation, even if he doesn’t seek to engage us directly. It is impossible not to make eye contact and by default we become increasingly complicit in his life. The performance is so minimal that the seam between actor and role becomes almost invisible. This type of acting style is often missed because it is used to allow a larger performance elsewhere – see the credit that Christian Bale gave Mark Wahlberg in The Fighter; he recognised that it was Wahlberg’s understatement that allowed Bale to go so big, and subsequently win every gong in sight. However in a monologue it is a brave move as there is no-one to bounce off, but it is a decision that pays off in spades because it is a very good fit with the piece. We don’t judge the character; we only judge what the text is telling us. And the text is telling us an awful lot of home truths. Setting The Fever in a luxury hotel suite necessarily places limits on the audience. 29 tickets per night were issued, and so even getting in was a matter of luck more than design. Or is it? Robert Icke was keen to remind those at a post-show discussion that just by going to theatre in London you are entering an elite society. And he is right – to get these tickets you had to be the sort of person who is so clued in to the London theatre scene that you would know tickets were going on sale, and also have enough disposal income to buy a seat for a show long before any reviews told you whether it was any good. We can look to the Russian émigré with the dodgy roubles or the finance executives who get tickets because their banks sponsor the theatre, but just by existing and being able to afford theatre in London, we are likely to members of the global elite and helping – through no obvious fault of our own – to perpetuate the iniquities of the world. It is a sobering thought but it is a true one. The Fever is unsurprisingly sold out. If there is justice in the world (and over ninety minutes we are shown that there really isn’t) then this will be filmed and shown in schools across the country.